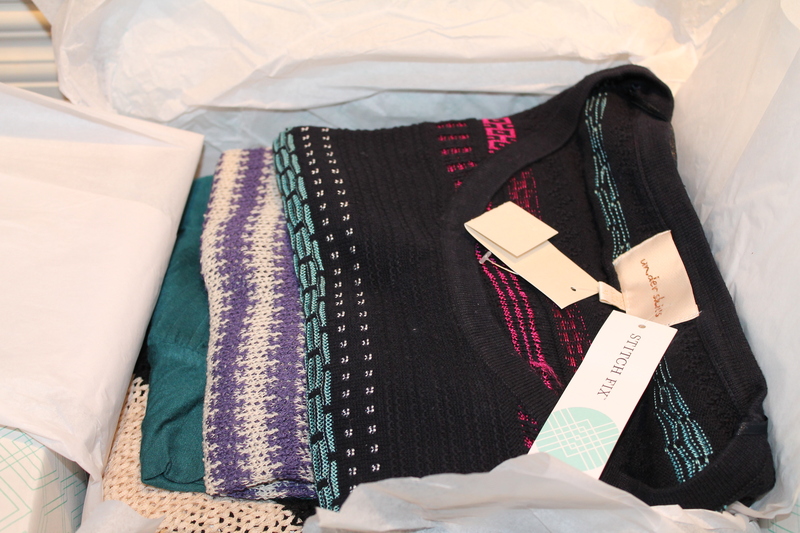 My missing Stitch Fix has appeared! This afternoon we were pulling away from the house to go grab some lunch, and what did I see on my porch? 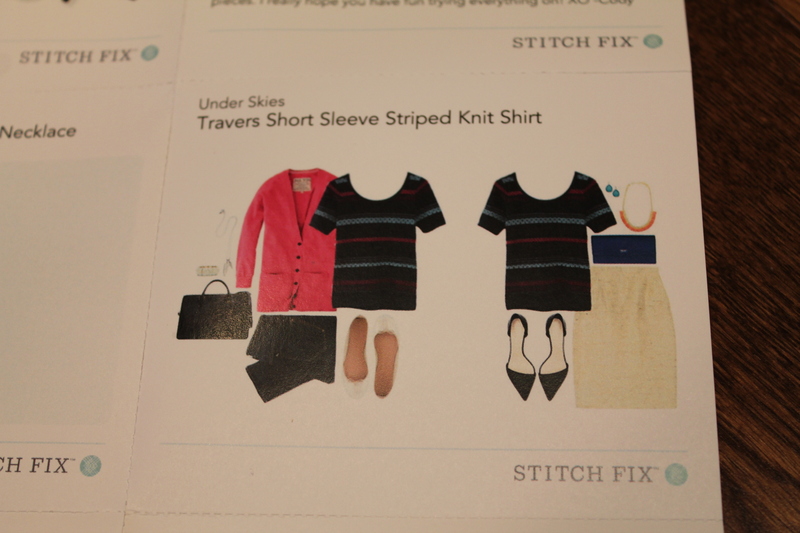 A stitch fix box!! Apparently the one that was packed on 2/5 somehow magically made it’s way to my house. I eagerly opened it up to see what was inside, and while I wasn’t thrilled with what I saw, I ended up liking most of it. Here’s my February Fix. 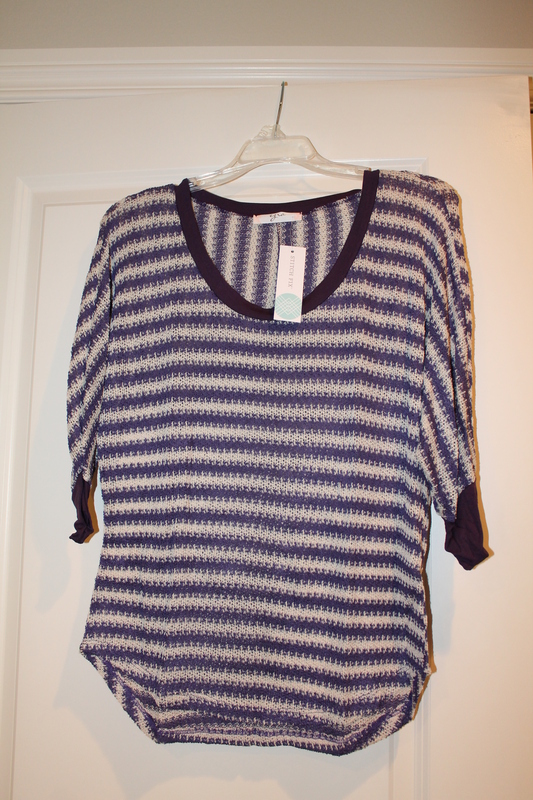 I had asked for more patterned pieces this time, and apparently that amounted to stripes. At least there was only one solid colored piece. By itself I don’t love this top. The scoop goes pretty low in the front and the back has a really open neck too which makes me feel cold. Since it is a nice light layer though with soft fabric I paired it with a military style jacket like the card suggested and it makes a great layering piece. Also looks cute with the necklace. Again, by itself I don’t really care for this top. 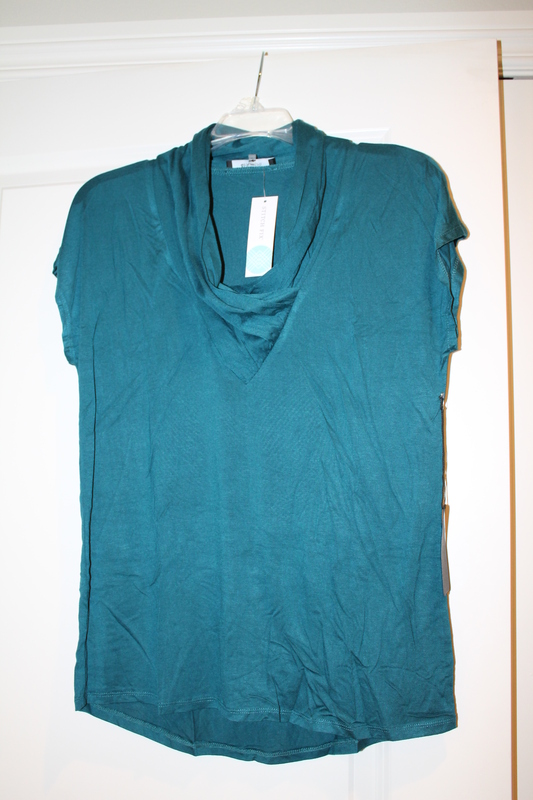 The color is nice and I like the neckline, but it needs to have a top layer. 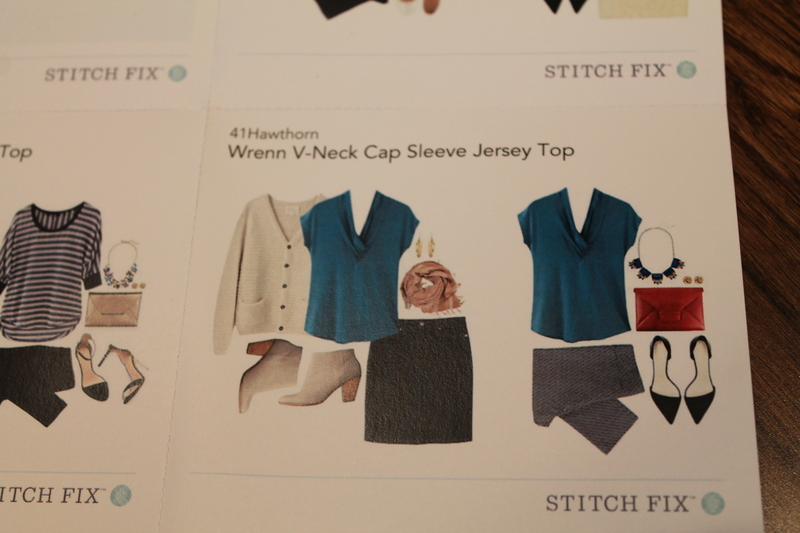 It also looked really cute with the necklace from this fix. Overall I’d say it’s a decent layering piece but definitely needs a good ironing first! 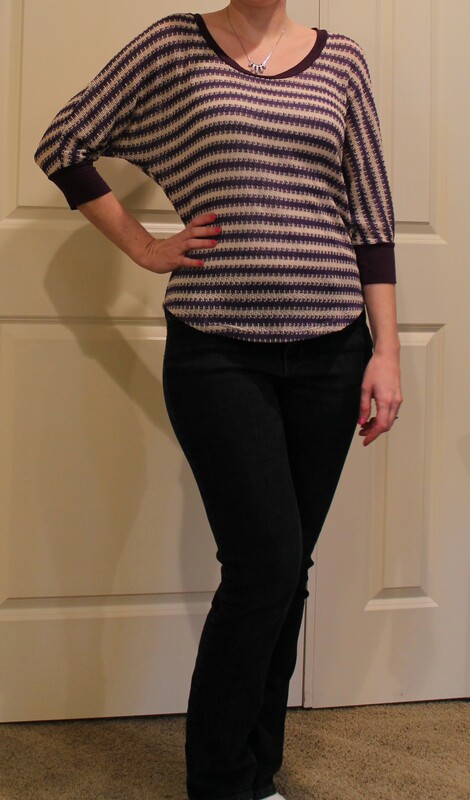 The fabric on this top is soft, but I’m not loving the navy and the sleeves were tight on my arms. (I seem to have abnormally large upper arms, despite almost never working out.) Again it would be cute under other items I own. 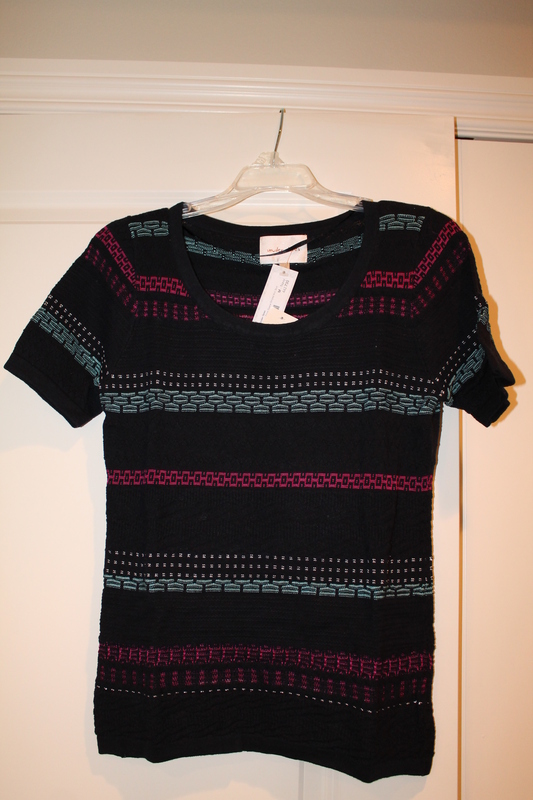 I think it would look cute under a white jean jacket which I’ve been eying on the Old Navy site. I guess now I’ll have an excuse to buy it. This was my least favorite piece. 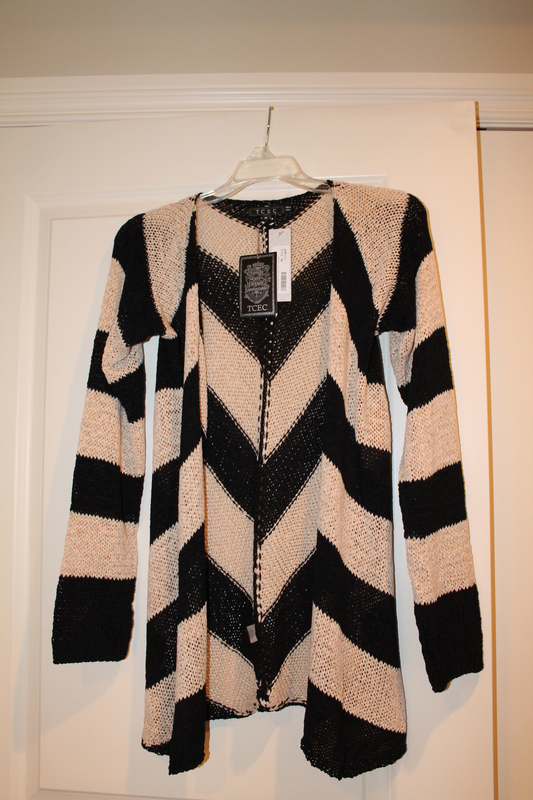 I’m not a fan of drapey cardigans (which I’ve stated in my profile before) and I don’t think this works for my body type. Since I was considering keeping the other 4 pieces I decided to go ahead and keep this in order to get the 25% discount. Otherwise this would have been going back. 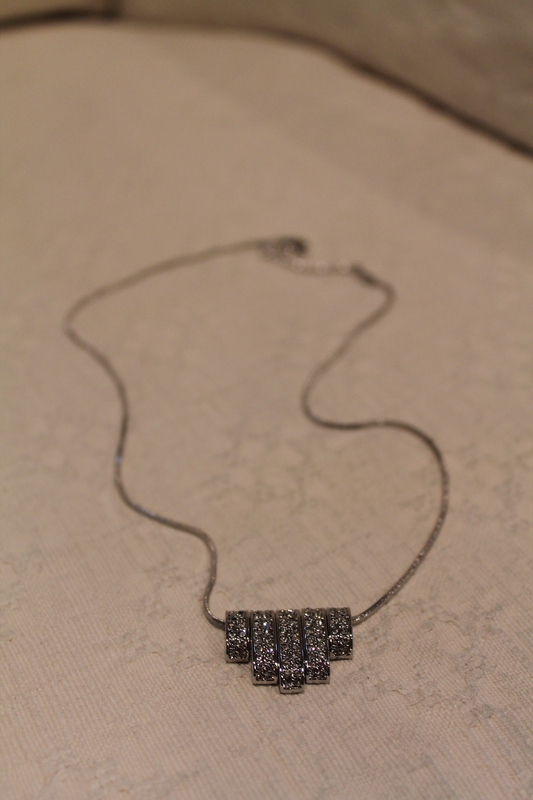 Love the necklace. It’s delicate but also unique. I’ll definitely be wearing this one a lot. Nothing really thrilled me with this fix, but for the total price of $153 I decided to keep everything. I think some of the tops will make good layering pieces an I can definitely wear them under some of my favorite jackets. I had really been hoping for some patterned blouses, but maybe that’s just not something they are carrying right now. 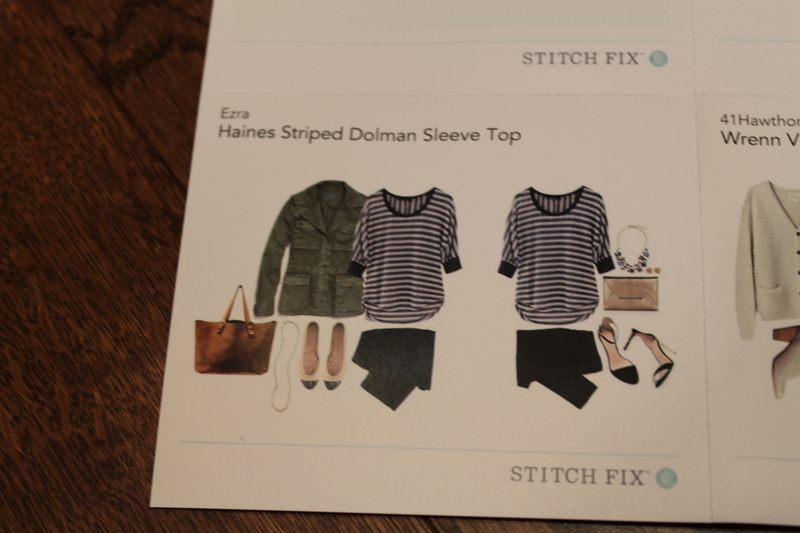 If you like reading my stitch fix reviews and are interested in signing up for a fix, I’d be grateful if you use my referral code. Thanks! 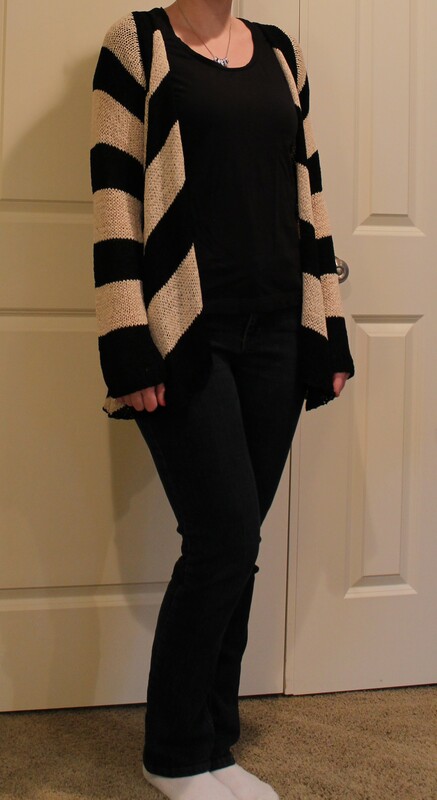 I was just researching stitchfix reviews, came across yours and just wanted to mention…the ivory and black striped cardigan is actually my favorite of the entire fix! I’m a stylist in chicago, so I’m forced to dress super cute every day and I would wear the heck out of it. It would look super cute with leggings or skinny jeans, a longer tight black tank and tall cognac or black boots or booties. If you wear it that way, I feel like you’ll wear it a ton! 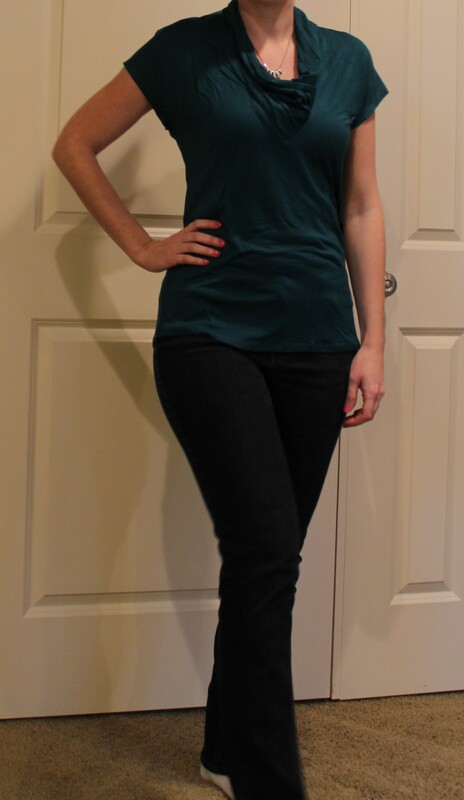 If you wear it with bootcut or wide-legged pants, then it wouldn’t be too flattering, so try it with skinnies. Thanks for posting this…I love seeing what everyone gets in their fixes. If I end up wearing this I’ll likely end up wearing it with skinny jeans and tall boots, but it does flare out at the hips and emphasize the widest part of me which I’m not comfortable with. It might look better on someone with more balanced proportions or a smaller lower half, but for me I just didn’t feel my “best” wearing this, and that’s what matters in the end. 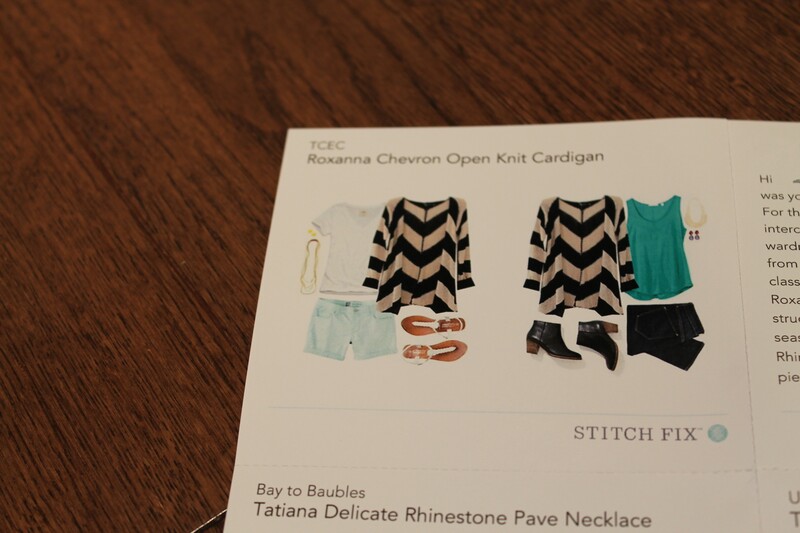 I adore the chevron cardigan! I was hoping that I would get it in my fix and haven’t yet. If you don’t think that you will wear it and it was in my size (medium) I would be happy to buy it from you?? No problem! I am so glad you like it now! If you weren’t going to wear it then I would have gladly taken it…enjoy!